Jurgen Klopp‘s reluctance to utilise his substitutes early in Liverpool’s 0-0 draw with Southampton has proved part of a career-wide trend. The Reds were held to a goalless draw at St Mary’s despite dominating Claude Puel’s side throughout, firing 15 shots on Fraser Forster’s goal. That Liverpool were able to overwhelm Southampton on their home turf is commendable, but there was a clear lack of impetus from the touchline. 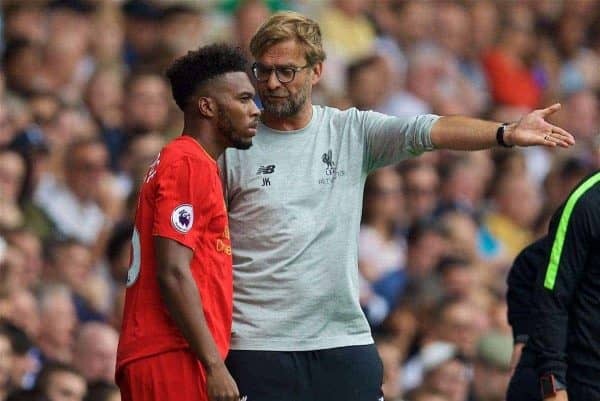 Klopp made two substitutes on the afternoon, bringing on Daniel Sturridge with 12 minutes left to play and Divock Origi in stoppage time, giving the strikers little time to make an impact. According to data compiled by statistical analyst Andrew Beasley, this is to be expected, with Klopp showing faith in his starting lineup when on top throughout his career. Klopp almost always uses all three of his available substitutes—with Saturday’s draw at Southampton the first time this season he hasn’t used all three subs in the Premier League. In fact, the manager has called upon 124 of his possible 126 substitutes in the Premier League since joining the club. However, this season he has given his substitutes the second fewest minutes on the pitch (472), with only Chelsea manager Antonio Conte turning to his bench on fewer occasions. That shows how a lot of Klopp’s subs have been late on, often in injury time, with games already won or attempting to close them out; this is despite the improved quality of those available in 2016/17. With Liverpool dominant, as they were against Southampton on Saturday, Klopp is content leaving his starting lineup on the pitch to execute his game plan, taking a patient approach. During both his time with the Reds and previously at Borussia Dortmund, Klopp’s sides have still regularly scored late goals. 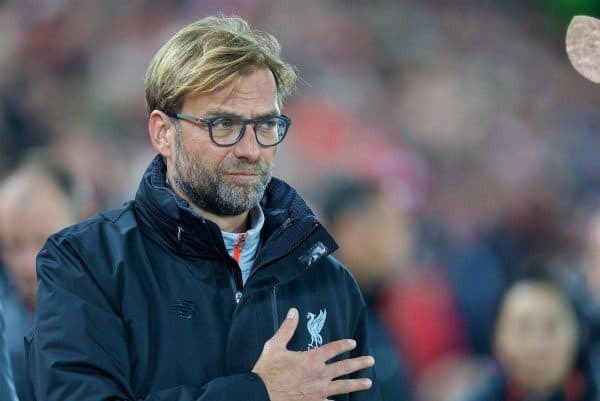 Klopp has generally never relied on late substitutions to change the game, with the boss favouring consistency on the pitch and minor tactical tweaks at half-time. He seems to prefer making changes prior to the game, with the Reds now having gone 40 league games without fielding the same starting lineup in two consecutive fixtures. Despite this, Origi (nine) and Sturridge (six) have been Klopp’s two most frequent substitutes this season, with Emre Can and Kevin Stewart (both five) just behind. With the likes of Georginio Wijnaldum, Marko Grujic and Alberto Moreno also regularly on the bench, the temptation is there, but Klopp has so far stuck to his plan. However, the draw at St Mary’s suggests if they are available, he should make use of them.